Members of the press and public are very welcome to attend all meetings of the Council and its Committees. 15 minutes is set aside for public participation at each Ordinary Council meeting, during which members of the public are able to speak or ask a question. Information on public participation is shown here. Click the blue ‘All Meetings’ button to browse forthcoming, prior and future meetings. To see a printable calendar of all formal meetings of the Town Council and its Committees for the 2019-20 Municipal Year please click here. The Town Council meets on 2nd Wednesday of the months of June, July, September, November, January and March. Meetings are held at 7.30pm. The Annual Council Meeting is held at 7.00pm on the third Wednesday in May each year, a week after the Annual Town Meeting. The most significant decisions, such as setting the Town Council’s precept (local council tax), are taken by Full Council (comprising all 16 Councillors). However, to help run council business more effectively, Felixstowe Town Council delegates authority to its several Committees to take responsibility for the management of certain key areas of business. The Finance & Governance Committee meets at 7.30pm on the fourth Wednesday in May, July, October, December (2nd Weds), January and March. This Committee monitors the Council’s finances, considers policy & governance and other general matters. The Assets & Services Committee meets at 7.30pm on the fourth Wednesday in the months of June, September, November, February and April. This Committee manages and monitors the provision of Council’s assets and services such as its halls, allotments and cemetery. The Civic & Community Committee meets at 7.30pm on the third Wednesday of the months of June, September, October, December, February and April. This Committee meets to consider civic functions, community engagement, partnership working and grants. The Planning & Environment Committee meets 9.15am fortnightly from the first Wednesday following the Annual Council Meeting throughout the year, with a 3-week break at Christmas and Easter. This Committee meets to consider and make comments on local planning applications to the planning authority – East Suffolk Council. The Personnel Committee meets at 6pm on the second Wednesday in October and April and considers matters relevant to Council’s staff. 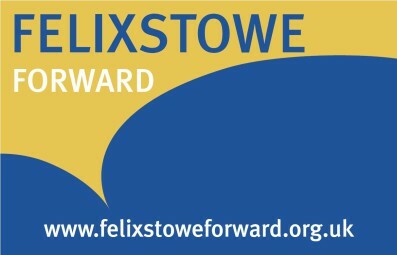 Felixstowe’s Annual Town Meeting is held at 7.00pm on the second Wednesday in May each year. This is not a meeting of the Town Council but rather a meeting of the Electors of the Parish of Felixstowe. However, it is hosted by the Town Council and will usually be chaired by the Mayor. The Appeals Committee only meets should it be necessary to consider any grievance and disciplinary matters which are unable to be resolved by the Personnel Committee. 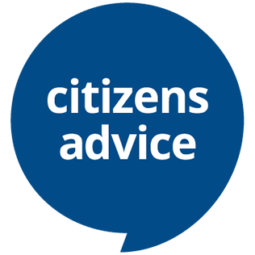 Issues that require further focus or expertise may be delegated to Working Parties set up by Council or one of its Committees. These act in an advisory capacity only and make recommendations to Council or Committee. Working Group meetings are not usually open to the public.